Well, what can I say about QED? As expected, it was absolutely superb. The talks were varied and fascinating, the panels were engaging and at times unintentionally hilarious, and it was wonderful to meet up with so many great members of the skeptic community (apologies if I didn’t get the chance to talk to you, there were just so many people there)! Huge thanks to the organisers and everyone involved. In the latest episode of The Skeptic Canary Show, myself and fellow QEDcon attendee David James discussed the event with Paul Hopwood, who sadly for him didn’t get a ticket in time (hopefully next year Paul!). Keir Liddle from the Edinburgh Skeptics was kind enough to call in, as was Rob McDermott who made history by being the first person to swear on the show! Don’t worry though, the recorded version has some hasty censorship applied. Go and have a listen at the link below. Incidentally, I couldn’t resist posting this pic of myself at Richard Dawkin’s table at dinner. Cheers to Richard Cooper for taking it! Did we land on the Moon? Yes. Yes we did. How come shadows appeared at different angles? – Perspective. The moon is quite big. How could they have used those chest-mounted cameras? – They practised before they went. I could go on, but pretty much every Moon hoax conspiracy has been debunked many times on clavius.org. However, this program went far beyond the usual shite, and got pretty damn sickening. In 1967, the Apollo 1 mission ended in tragedy when three astronauts (Gus Grissom, Edward H. White and Roger B. Chaffee) died in a cabin fire. A terrible accident? Not according to the documentary. They went so far as to ask if the three astronauts could have been killed because they “knew too much”. Unbelieveable. I find that this kind of lazy sensationalism an afront to the memory of those brave, pioneering heroes. I also find it incredibly distasteful of Channel 5 to broadcast such a shoddy and morally bereft program about the Moon just days after the death of Patrick Moore. If you really want to watch “Did we land on the Moon?” the page for the program on Channel 5’s website can be found here. There is talk on Twitter of complaining about the program to Ofcom. I don’t know what the grounds for complaint would be but I will certainly consider it. At least Brian Cox has the right idea. 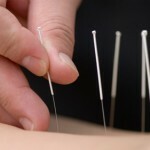 I wanted to bring people’s attention to a worrying study on acupunture, in part by written by researchers from my old alma mater, the University of York. The study itself is a meta analysis of 29 randomised clinical trials of acupuncture in back pain, neck pain, headache, and osteoarthritis which comes to the conclusion that acupuncture is effective for chronic pain and is suitable as a referrel option. I think the study suffers from certain biases and the conclusion reached by the authors is simply not supported by the evidence presented, but rather than give a detailed examination of it myself I shall recommend Steve Novella’s article on Science Based Medicine. I’m just rather concerned that a university which I still have a great affinity for is promoting such controversial treatments. The guys at the Merseyside Skeptics Society (MSS) have been busy with some world class skeptical activism! The people that brought the ludicrous nature of homeopathy to the world’s attention with the 10:23 campaign have cast their eyes on a wristband made by the company Shuzi. The band makes all sorts of claims, similar to Power Balance bracelets (and we all recall what nonsense they were). Unimpressed by Shuzi’s claims of it’s “Nano Vibrational Technology” being able to “unclump” and “improve communication” in your blood, the MSS devised a simple but comprehensive protocol to test the Shuzi band. They enlisted the help of a rugby player, who was tested to see how many kicks he could make when we was wearing either a genuine Shuzi band, or a “sham band (a Shuzi band with the “chip” removed). He attempted 50 kicks with and 50 without the band, but what I found impressive about this test was the blinding. In this sort of test, it’s hugely important to remove as many biasses as possible. The bands were covered by a sweatband, so the rugby player did not know which was which, and the identity of each band was kept a secret from the experimenter. The results were unsurprising. When wearing the real band, the player scored 26 out of 50, and with the “sham” band he scored 22. 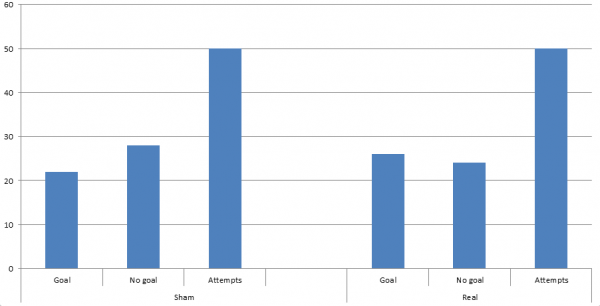 Although he scored more with the real band, this difference is not statistically significant. I’ve taken the liberty to illustrate the results in a graph. Look at how much better this is! 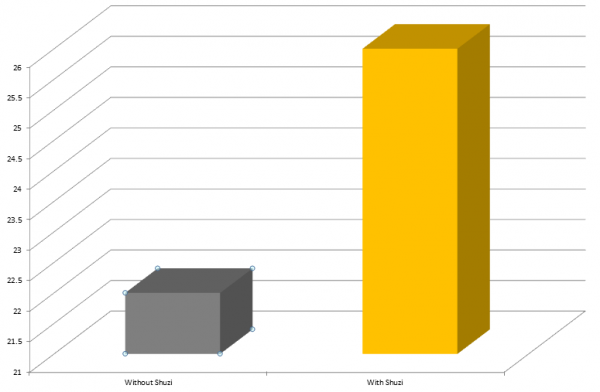 It’s the same data, except it’s in 3D, the Shuzi bar is a gold colour, and most importantly I’ve changed the axis so that the Shuzi bar is so much bigger than the sham bar. See how a little creative presentation can make your data look so much better than it is? Anyway, it has to be said that they’ve got a good deal of press coverage from this. It’s appeared in the local Liverpool Echo, and even made it onto the Daily Mail of all places, making a nice change from the pseudoscientific guff we are all used to. Job well done guys! Brilliant scientists are open-minded about paranormal stuff. So what? On Twitter, JREF President DJ Grothe made me aware of a blog post written by John Horgan at Scientific American entitled “Brilliant Scientists Are Open-Minded about Paranormal Stuff, So Why Not You?”. You won’t be surprised to hear that I have a few problems with that article. The title alone set my skeptic senses tingling. The “Brilliant scientists…” bit smacked of an appeal to authority, and the “open-minded” part immediately got Tim Minchin singing in my head. Once I started reading the article, it didn’t fail to disappoint on the logical fallacies front. Straight away it mentions that Alan Turing believed in telepathy, and goes on to state that Carl Jung was a proponent of synchronicity (coincidences). I’ve already written about this, but it’s worth repeating: having an excellent scientific mind does not make you immune to irrational beliefs. In science, ideas are judged on their own merits, not by the individual who proposes them. For example, the double Nobel prize winning scientist Linus Pauling believed that taking copious amounts of Vitamin C (overwise known as megadosing) could ward off colds and even be used as a cancer therapy. But today, modern medicine does not recommend such a use of Vitamin C. Why? Because it was tested and found not to work. Yes, I think telepathy exists, and I think quantum physics will help us understand its basic properties. This is another example of the fact that having a Nobel prize doesn’t stop you from getting science wrong, as Josephson has done here. In short, you need to demonstrate something before you can start explaining it. Calling on quantum physics to explain telepathy is a pointless endeavour if you can’t demonstrate telepathy in the first place! I love James, who throughout his career achieved a rare balance between skepticism and open-mindedness. I find the idea that skepticism and open-mindedness are contradictory to be rather bizarre. It seems as if Horgan is making the classic mistake of confusing skepticism with cynicism. To be skeptical of something is to question it. If your questions are answered and you accept what is being presented, your are still skeptical! On the other hand, being open-minded should not mean that you just blindly swallow everything anyone says. When it comes to the paranormal, I am open minded. I’m open minded to good quality, repeatable, peer-reviewed evidence. Unlike the boring, foregone conclusion of the Higgs boson, the discovery of telepathy or telekinesis would blow centuries of accumulated scientific dogma sky high. What could be more thrilling! For a start, I’m pretty sure the discovery of the Higgs boson was never a “foregone conclusion” and it certainly wasn’t boring (not to me anyway), but it’s the wishful thinking that really annoys me. In science, you have to have a precedence to do something. You wouldn’t say “I dreamed that jelly beans cure cancer, so I’m going to set up a multi-million dollar trial to see if they do”. In the case of the Higgs boson, the mathematics behind it provided a very elegant hypothesis which was tested at CERN. Things like telekinesis are tested, but are repeatedly found to fail such tests. Whether or not it would be thrilling if such phenomena exists is irrelevant. It would be thrilling for me if an enormous diamond was buried under my house, but that doesn’t mean I’m planning to have my house leveled and a diamond mind built now does it? 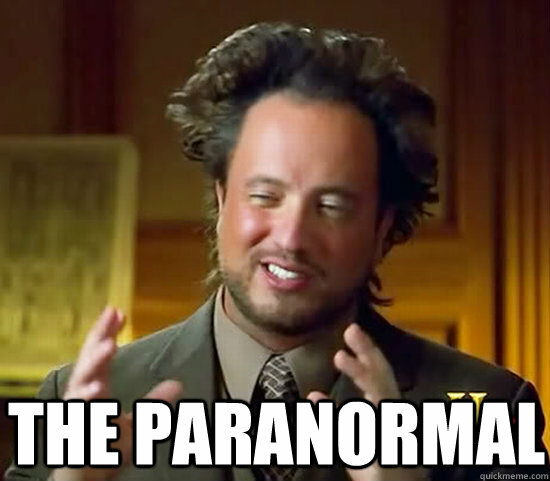 So, in conclusion: yes, brilliant scientists believe in the paranormal. Yes, you should be open minded about it. Are either of these facts enough for you to believe in the paranormal? I would say no. Liverpool is in the midst of a measles outbreak. Worryingly, there are currently over 7,000 unvaccinated under 5s on Merseyside. This prompted ITV’s “Tonight” show to film a special entitled “Are your kids contagious?”. The details of the program are available here. Overall, I was very impressed with the show. Right from the start, it was clear that the makers of the show knew about the scientific evidence, and the take home message was a firm “Get your kids vaccinated people!”. It was very refreshing to see a lack of BBC-style “false balance” in the show. All through the show, it was taken as read that vaccines work and were safe, effective and required to stop diseases. They didn’t interview Andrew Wakefield, go to America to talk to Generation Rescue or Australia to talk to Meryl Dorey. However, I did have a small gripe regarding their coverage of Andrew Wakefield. 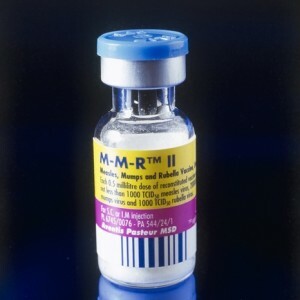 While they made it clear that his research on MMR was flawed and not accepted by the scientific community, they did say “Wakefield’s work did not agree with the scientific consensus and he was struck off”. Now, this makes it sound like a scientist can be dismissed from his position if he comes up with work which does not agree with the current consensus. This is not the case. Rather, Wakefield was struck off the medical register for a multitude of sins, including non-disclosure of a conflict of interest, paying children for blood samples at a birthday party, and worst of all, conducting painful investigations like colonoscopies and lumbar punctures without approval from his ethics committee. The closest they got to false balance was to interview a couple of non-vaccinating mothers. Although they tried to argue in a subtly “Mumsy” way, they’re ill-informed selfishness was clear for all to see. I’m sure they only wanted what was best for their children, but they seemed to be in denial that their children could end up being contagious and passing diseases on to others. I thought the program did well to point this out. The most moving part of the show was a feature on Dawn and Dave Benson, whose baby daughter died from whooping cough. I thought they were incredibly brave and selfless to appear on TV to tell their story, and I congratulate them for it. It was also a reminder that for whatever reason, some people cannot be vaccinated. This is why herd immunity is so important, as for everyone to be protected, as many people as possible need to be vaccinated. Also, I think we all owe thanks to the many doctors, nurses and health workers who do a great job in administering vaccinations. Overall, I felt the program was well-researched and well balanced, with only a few small errors. A good example of what a documentary can be like without false balance! The Question Explore Discover conference (QEDcon) is merely days away. Last year’s was a fantastic spectacle of science, skepticism and having a laugh with friends old and new. If you want, you can hear some recordings I made, where I’m mostly jumping around like an excitable puppy. This year should provide more of the same (except I’ve calmed down a bit), but there was one panel in the schedule which particularly caught my eye: the “Science versus Skepticism” panel. I read the title and straight away thought “Hang on, science VERSUS skepticism? Surely skepticism is based on the application of the scientific method?”. Then, I read the blurb and realised that throughout history, many scientists have and do hold views that are in contradiction of scientific evidence. In preparation for the panel, I thought I’d go over some of these historical figures and where they venture into the realm of woo. 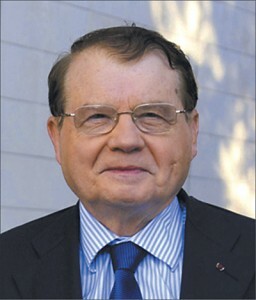 In 2008 Luc Montagnier (along with Françoise Barré-Sinoussi and Harald zur Hausen) received the Nobel Prize in Medicine for the discovery of HIV. His role in our understanding of the virus was pivotal, and helped greatly in the fight against HIV/AIDS. However, in 2009 Montagnier produced a couple of very controversial research papers which reported the detection of electromagnetic signals in highly diluted and agitated solutions of DNA. Of course, homeopathy sympathisers like Dana Ullman jumped all over this, even though it offered no support for homeopathy. Critics such as PZ Myers pointed out the many flaws and suspicious circumstances of the research, including the fact that there were just between 72 hours between submission and publication and that the chairman of the editorial board of the journal in question was Montagnier himself! 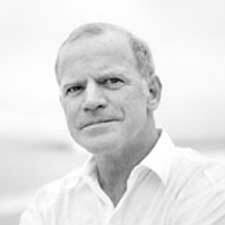 Pretty much every biologist who has worked in a lab for the last 20 years should know who Kary Mullis is. In 1993, he was awarded the Nobel Prize in Chemistry with Michael Smith (I’ve worked in a building bearing his name) for the development of the Polymerase Chain Reaction (PCR). Through this technique, it is possible to amplify specific DNA sequences. This ability has made a myriad of techniques possible, such as DNA fingerprinting, and PCR machines are ubiquitous throughout labs around the world. Outside of the lab, Mullis has dabbled in various pieces of pseudoscience, from his belief in astrology to climate change denialism and AIDS denialism. He even wrote the foreword to “What If Everything You Thought You Knew About AIDS Was Wrong?” by Christine Maggiore, a very tragic case. 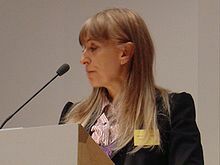 Susan Greenfield is a scientist who specialises in brain physiology, researching diseases such as Parkinson’s and Alzheimer’s. She sits in the House of Lords as a cross bencher, and was director of the Royal Society from 1998 to 2010. She has done much for the public understanding of science, and has presented the Royal Society’s Christmas Lectures. Recently, Greenfield claimed that social networking sites such as Facebook and Twitter were bad for children’s brains. Ben Goldacre quickly pointed out that it’s wrong to make that kind of claim without evidence and submitting to peer review, especially when the claims are on such a grand scale. Hopefully you’ll have seen a pattern by now! 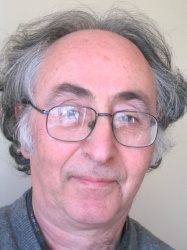 Brian Josephson is a Nobel laureate, receiving the Nobel prize in physics in 1973 for predicting an effect that now bears his name. Yet, when he was asked to write for the Royal Mail about a set of stamps to commemorate the centenary of the Nobel prize, he took the opportunity to mention that physics may one day explain telepathy. He has also leant his support to the ‘E-cat’ machine, which is supposedly a thermonuclear reaction that fits on a coffee table. 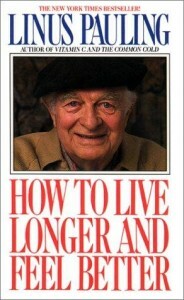 Linus Pauling is perhaps the most famous case of a high-profile scientist turning to the dark side of woo. There’s no way I can do his achievements justice in a few short paragraphs, but hopefully you’ll get an idea of his greatness when I say that he’s the only person to have received two unshared Nobel Prizes. His contributions to chemistry are too numerous to list, and he was also a great peace activist, winning the Nobel Prize for a study that showed the damage overground atomic weapons tests were causing. Sadly, as he got older he fell for the woo of megadosing on Vitamin C. This involves ingesting huge quantities of Vitamin C in the belief that it can ward off colds and even treat cancer. Although Pauling published papers to support his ideas, clinical trials conducted by the Mayo Clinic provided evidence that Vitamin C was in fact no better than placebo at treating cancer. Despite this, Pauling continued to research and promote the use of megadoses of Vitamin C, starting the quackery of orthomolecular medicine. What causes respectable scientists do delve into quackery? 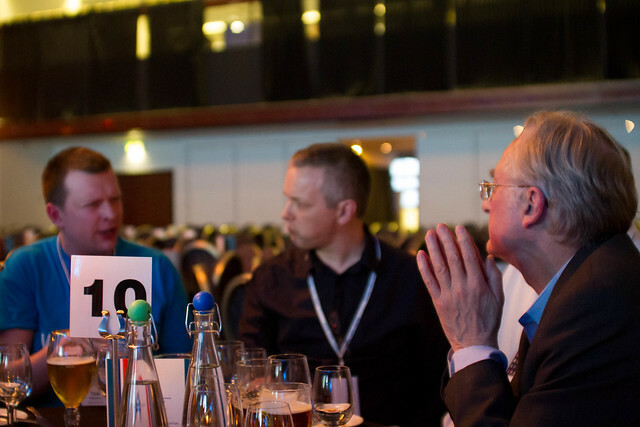 I’m looking forward to this and other questions being discussed at QEDcon!